If I had realized just how significant it was, I would have taken out a patent and the U.S. government would own it! Maybe you’re like me, and had tonnes of fun playing Atari’s Warlords with your buddies at the arcade. You all stood around the elevated table top cabinet, controlling your paddle with a spin knob, trying to prevent cannonballs from chipping away at your castle walls, while trying to knock through to your opponents to destroy the king residing behind. With proper timing, you could capture the cannonball and send it flying to chip out a larger chunk of enemy bricks. Things would gradually speed up into shouting mayhem as the balls whipped around, with you trying to save your king with the paddle as your protection melted away. The game was released to arcades in 1980, with a popular home adaptation hitting the 2600 the next year. Atari has just announced the return of Warlords with a retro-remake for XBL and PSN. Gameplay twists on the theme include a co-op siege mode, 2 v. 2 teams and various power-ups. Look for the game to come crashing through the wall this summer. 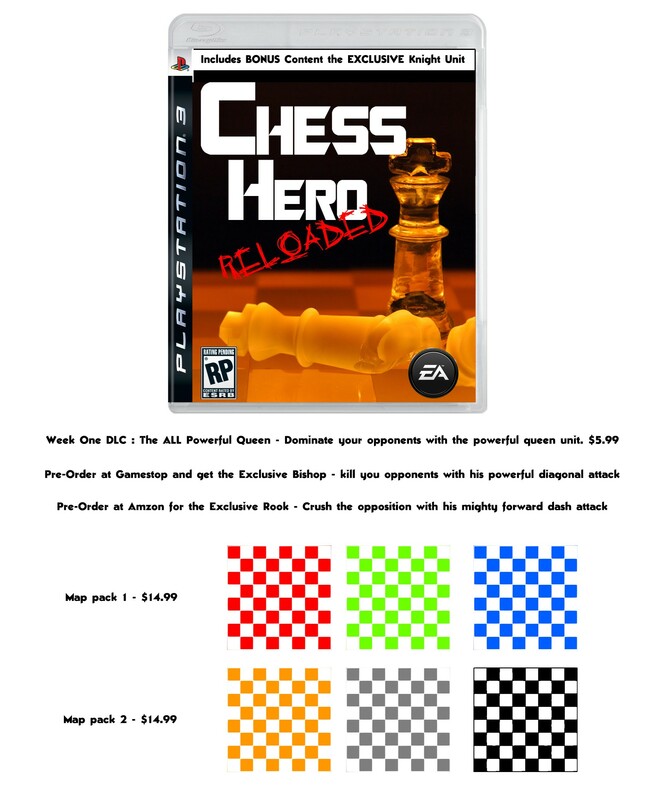 This entry was posted in arcade, Atari, breakout, Warlords on March 30, 2011 by William Hunter. 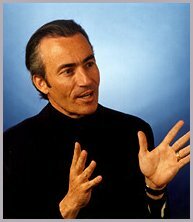 Trip Hawkins was one of the founders of EA back in 1982, forming from his previous effort Amazin’ Software. EA truly helped form the computer game industry into a powerhouse, though transformational attitudes towards talent and marketing. Hawkins was also very forthcoming with information when I contacted him while researching the EA article on The Dot Eaters. And for that, I’m truly appreciative. However, he has recently been dinged by the U.S. federal government for a tax bill of over 20 million dollars. Seems he took all that money from EA stock, hid it in various dodgy off-shore tax shelters, and then declared bankruptcy while still living it up. Uncle Sam tends to get a bit miffed when you welch on him. This entry was posted in Uncategorized on March 29, 2011 by William Hunter. This made me laugh, despite the dodgy spelling. It also relates to my previous rant on retail-specific pre-order bonuses. As the title says, another gameplay video released for Deus Ex: Human Revolution, the prequel to the great PC game Deus Ex. And again, it focuses on the different ways to play the game. Enjoy. This entry was posted in Uncategorized on March 27, 2011 by William Hunter. To celebrate the video game industry’s illustrious past, the 2011 Game Developers Conference hosted a series of talks by famous game designers, dissecting their most classic achievements. Lectures featured such luminaries as Sim City creator Will Wright discussing his first game, Raid On Bungeling Bay, and Ron Gilbert reminiscing about his game-changing point-and-click adventure game Maniac Mansion. There’s plenty to watch here, and plenty to learn. Check it here. This entry was posted in game gods, GDC on March 24, 2011 by William Hunter. This entry was posted in Uncategorized on March 21, 2011 by William Hunter. Tapper is a game any denizen of early 1980’s arcades will remember fondly. It was a very successful arcade game released by Bally/Midway in 1983, featuring a bartender slinging the game’s sponsor’s suds, Budwieser, to thirsty patrons in various bar settings, from old-west saloons, to far-out space-stations. The official cabinet even featured Bud labelled pull handles as controllers. Via the obligatory outrage over a videogame peddling alcohol to the poor innocents of the local arcade, Bally/Midway pulled the game and re-tooled it as Root Beer Tapper the following year. A remake called Tapper World Tour has just been released on the Apple app store, a version for the iPad at 1.99 CDN, and one for the iPhone at .99, although these are introductory prices so you better belly up to the bar fast. The game was developed by Square One Studios, founded by animation great Don Bluth and his long-time business partner Gary Goldman. Bluth, most famously known to video game afficianados as the man behind the artwork for the classic Dragon’s Lair and Space Ace laser disc arcade games, also provides the artwork here. The iOS version plays a bit different than the game you might remember from the arcades. Here, you get multiple lives, instead of it being a sudden-death game-ender if you screw up throwing drinks or picking up empties. Instead of using any kind of virtual joystick to move your bartender between kegs, you tap on the screen to move and then tap again to serve drinks, so this extra tapping (kind of gives a new meaning to the title, eh? Heh heh heh) to position yourself takes some getting used to. There are also power-ups you are granted for playing the campaign mode, and these can be used in-game to, for instance, make a patron automatically give a tip, which if picked up will grant you another life. Another change is that you control when the entertainment starts, used to distract the customers and give you some breathing space. Also, while distracted, these customers will grab drinks thrown them, making things a bit easier than the arcade version, where you had to be careful not to whiff one right by someone watching the floor show. There are lots of different locations and varied characters in the campaign mode, which has you travelling the world slinging drinks to all manner of barflys. What might be even more fun though is the endless mode, where you can choose one bar from among thoses you’ve beaten in the campaign, and just keep serving it up to a constant, never-ending crowd that moves increasingly faster up the bar as you play. It gets wonderfully chaotic after awhile. 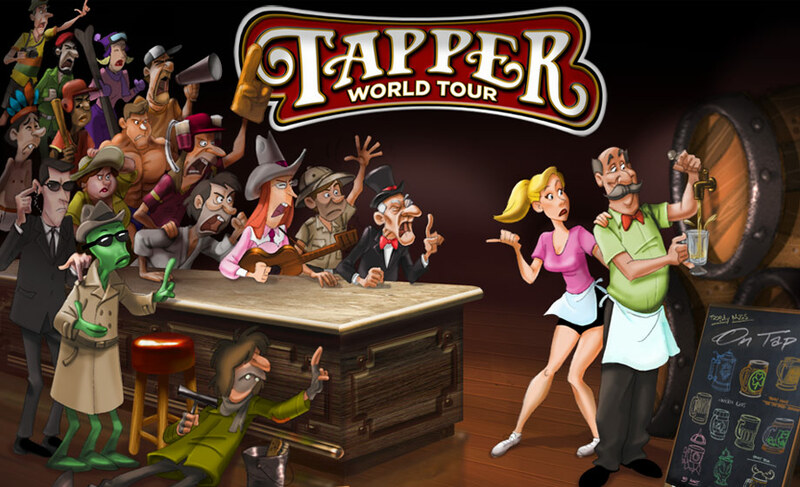 Bluth’s artwork and animation gives Tapper World Tour a lot of character, both literally and figuratively. 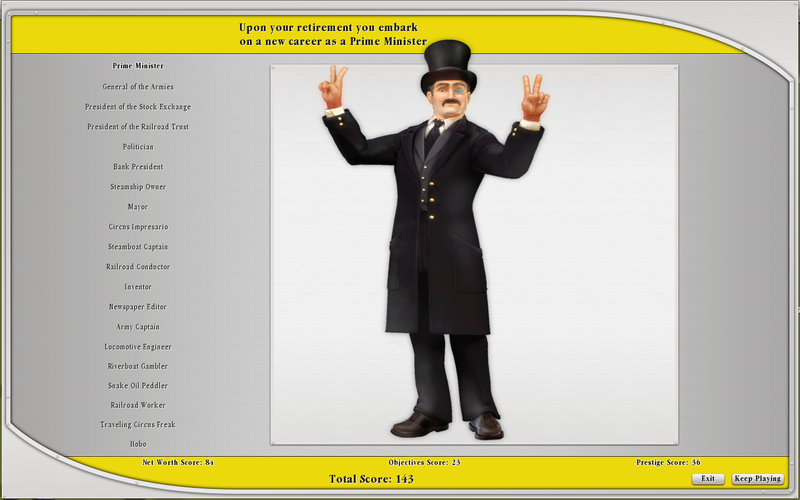 It’s great to see him back in action, lending his inimitable style to a great update of a classic game. For more informaton on Bluth and his most famous contributions to video game history, consult your local TDE article on the laser game craze of the 1980’s here. As well, here is a video clip of the ColecoVision version of the original Root Beer Tapper, just another in a long line of great coin-op conversions done for that console. Cheers! This entry was posted in Uncategorized on March 18, 2011 by William Hunter. Sid Meier’s Railroads! and Other Tales of the Rails. I’ll run the country like I run my RR! I’m up North visiting my parents for a week with the kids, so I’m stuck with a dodgy Internet connection (tethering a weak 3G signal through my iPhone to my laptop), hence the lack of updates. Or at least, that’s my story and I’m sticking to it. Stuck with only a laptop as a gaming rig, I’m downloading games it can run with its limited video card (thank Zod for Steam), so I snagged the Railroad Tycoon Collection. It’s a great deal: the aforementioned Railroads!, Railroad Tycoon 3, and Railroad Tycoon 2 Platinum for only 15 bucks! That’s a lot of spike drivin’, and you don’t have to be J. Pierpont Morgan to afford it. I’ve been playing the heck out of Railroads! It’s the definitive game for SMRR fans; the apex of the series, really. It strips out all of the annoying minutia of building your railroad, and adds a lot of graphical flourish and wonderful detail. It also features a delightful musical soundtrack that dynamically adjusts to the locale in your view at the time. Sid Meier’s Railroad games are a stalwart of computer gaming… after all, it was the first Sid Meier’s Railroad Tycoon, released in 1990 by Microprose, that put Meier solidly on the track of being considered one of the gaming gods of the industry. The man-hours of productivity lost to the original in nigh incalculable, although a guess might be that you could probably ring the Earth multiple times with railway track with all the time spent building virtual ones. With its vaunted pedigree, the release of Railroads! in 2006 was naturally eagerly anticipated. And on the whole, Meier delivered. There is, however, one glaring flaw that turned a lot of people off, nearly myself included. The problem is the absolutely atrocious AI routing in the game. You don’t notice it as much at the start, when you only have a few stations connected, without a lot of multiple tracks heading into cities. But as you add more trains and their routes into the equation, you need to start putting in more and more multiple lines to avoid congestion. And once you start doing this, the problem starts driving you nuts. There is nothing quite as frustrating as having four or more lines side by side, with proper switching track connecting everything nicely so no trains should ever have a problem negotiating through a route, and still trains bunch up because they keep heading into the same fudging lines as oncoming trains. Here’s four lines wide open, and still trains are halted because for some goddamn reason they want to occupy the same goddamn space! AAAAAAARRRRGGGGGGGGGHHHHHH! Still though, Railroads! 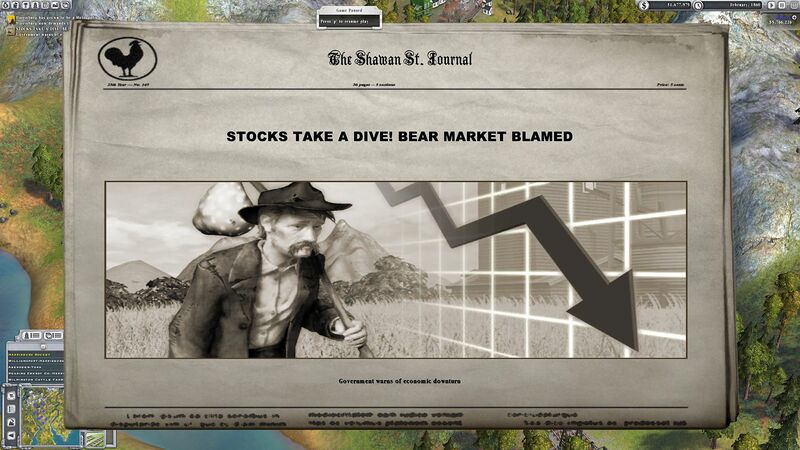 is a fun game that can burn away hours like so many shovels of coal into the tender box. All aboard! P.S. I also noticed this while playing. Looks like Coco’s career hasn’t gone too well after losing The Tonight Show. This entry was posted in Uncategorized on March 16, 2011 by William Hunter. Are You A Hoopy Frood Who Really Knows Where Their Towel Is? Today is Douglas Noel Adams’ birthday. He would be 59, if he hadn’t been so rudely taken from us in 2001. Adams was not a particularly prolific writer, and by all accounts had to be bribed, cajoled and downright threatened to produce anything. “I love deadlines.”, he once wrote. “I like the whooshing sound they make as they fly by.”. Thankfully, while lying drunk in a field in Innsbruck, Austria in 1971, gazing up at the canopy of stars above him, Adams came up with the idea for and subsequently wrote The Hitchhiker’s Guide to the Galaxy. Starting as a BBC radio series, through subsequent books, records, and other media, Hitchhikers was a hugely influential work of SF comedy. It follows the exploits of hapless earthling Arthur Dent and his pal Ford Prefect, who Arthur is surprised to learn is not in fact from Guildford as he previously claimed, but actually from a small planet somewhere in the vicinity of Betelgeuse. Adams made several contributions to video game history, starting with the computer text adventure adaptation of Hitchhikers, produced in 1984 by the dominant company in that genre at the time, Infocom. His collaborator on that project was Steve Meretzky, who himself had been hugely influenced by Adams when creating Planetfall (1983) for the company. The game would flout several conventions of the text-adventure, including a sequence where the game would outright lie to you about what you were seeing. Adams also did the text-adventure Bureaucracy in 1987 for Infocom, and later the Myst-like graphic adventure Starship Titanic, published by Simon & Schuster Interactive. Titanic featured voice talent from John Cleese and Terry Jones, two members of the famous British comedy troupe Monty Python’s Flying Circus, for whom Adams had contributed early in his career. Fallout from Hitchhikers also helped shape Sierra’s long-running Space Quest series, done by The Two Guys From Andromeda, Mark Crowe and Scott Murphy. In fact, it’s hard to think of any comedic foray into science fiction without seeing a touch of Douglas Adams in the proceedings. As much as I might be a microscopic dot on a microscopic dot in terms of literary contributions to the Universe, Adams had a profound impact on me as a writer, as well as a human being. He continues to leave a 6′ 5″ hole in the world, one that will never be filled. 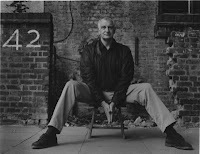 This entry was posted in books, Douglas Adams, hitchhikers guide to the galaxy, Infocom, meretzky, text adventure on March 11, 2011 by William Hunter. It’s on like… well, you know. If you’ve never seen the documentary The King of Kong: A Fistful of Quarters, you owe it to yourself to go right now and watch it. It’s even on Netflix, go ahead, I’ll wait. Now that you’ve seen the brilliant story of Steve Wiebe going after the high-score record on Donkey Kong, held by the legendary Billy Mitchell for nearly 25 years, you can appreciate The Kong Off, a Donkey Kong competition to be held on March 19th and 20th at Richie Knucklez’ Arcade Games in Flemington, NJ. Knucklez’s showroom boasts over 75 various working game cabinets on display, lovingly restored and available for purchase if you think you can fit one in the old hatchback. This competition is sure to attract the cream of the crop of competitive Donkey Kong players. One dark horse is Dean Saglio, who actually boasts a score higher than the top three favoured participants. The problem? He holds his high score of 1,136,400 on the MAME arcade emulator, which emulates the original arcade game CPUs using ROM information pulled right off the original game chips. 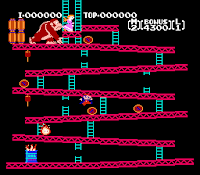 While Donkey Kong on MAME is perfectly replicated using the program, there is a huge difference between sitting in a comfy chair in front of your computer, and standing in front of an actual Kong cabinet, joystick in your sweaty hands. It looks to shape up like a thrilling competition. Gentlemen, roll your barrels. 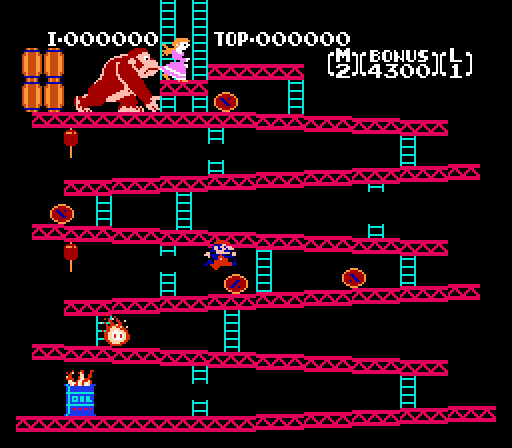 This entry was posted in arcade, donkey kong, Mitchell, nintendo, Wiebe on March 11, 2011 by William Hunter.